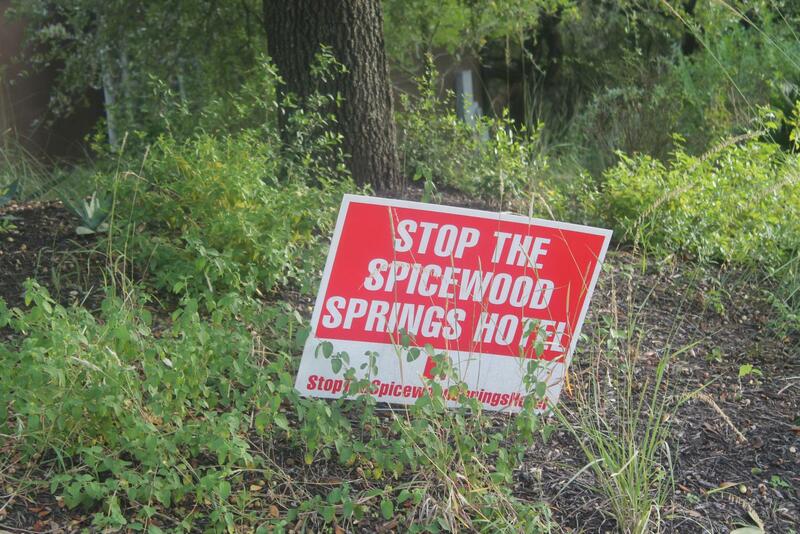 Many people have these red signs in protest of the Spicewood Springs Hotel. 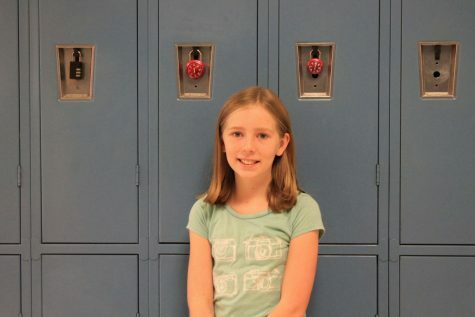 You may have seen them last year put up near the school. A place to sleep near a beautiful creek with amazing trails. This is what the Spicewood Springs Hotel will bring to us. Seems pretty nice, right? Think again. Developer David Khan, tourists, and guests will be happy with this addition to our community, but this plan has not won much local support. One big issue is the effects on the environment. There are so many ways it will affect the environment and areas around it. Let’s begin with waste. If there is a hotel, there’s going to have to be a place for waste. In this case, there will most likely be a septic tank. A septic tank is an underground tank where sewage is collected. But these tanks can cause a lot of pollution. Septic tanks easily overflow or leak. And since this would be right next to Bull Creek, The creek water could get contaminated. A lot of people enjoy swimming in Bull Creek. If the water is contaminated, there will no longer be swimmers in the creek. In general, pollution is a lot more likely with a hotel right next to the creek. But it’s not just waste. Just by building a structure, the area will flood more easily. Why? Well, water infiltrates into the ground through the soil. But when a structure is built, it prevents water from infiltrating. So the water has no choice but to become runoff. This can flood nearby roads and buildings. So many people, including District 10 Austin City Council member Alison Alter, agree that the construction of this hotel will have negative effects on the environment. This is something that nearby residents are most worried about: Traffic. Currently, there isn’t much traffic, the area just doesn’t have much development. But with a hotel, there is going to be more people coming down Spicewood Springs Road and Yaupon Drive. Also, residents are afraid that during flooding events, guests at the hotel will have nowhere to evacuate but to the close by road, Yaupon Drive. Overall, residents are afraid of a more crowded neighborhood. This is perhaps the less noticeable of these issues. But if developers see that one person is developing the area, they might be influenced to do so. People might follow in the footsteps of developer David Khan and start building in this area. But here’s the issue: Some people visit Bull Creek or live near Bull Creek because it’s an undeveloped area in a big city. That can be pretty rare yet beautiful. So if Khan builds a hotel and others see it as a chance to develop the area, it will no longer be a quiet place. 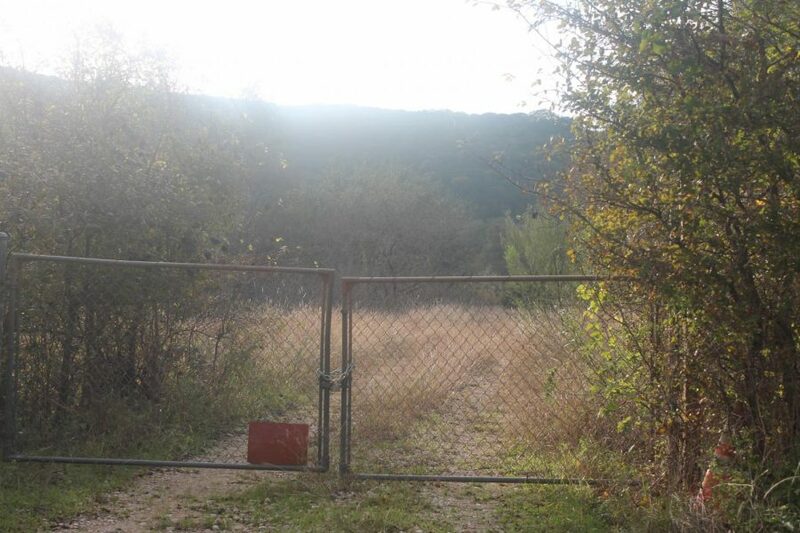 Here are some pictures of the property and area around it. This is the property that the hotel is supposed to be built on. David Khan is the developer who had the original idea of the Spicewood Springs Hotel. Kahn argues that a lodge in a beautiful area is exactly what the community needs. He wants the Spicewood Springs Lodge (Hotel) to be like ones found in Yellowstone and Yosemite. He argues that only 94.2 percent of the land will be developed and that it’s the community’s job to deal with traffic. The hotel is in Travis County, but it’s technically not in Austin. It’s actually in Austin’s extraterritorial jurisdiction, meaning a government (In this case Austin) can exercise law beyond its normal boundaries. Austin has very limited control over this piece of land. The hotel would be about 130 rooms. I hope you learned a little more about the Spicewood Springs Hotel and your community.